The versatile table bench is ideal for small living spaces. It can be used as a low table, or can easily be transformed into a rectangular bench. 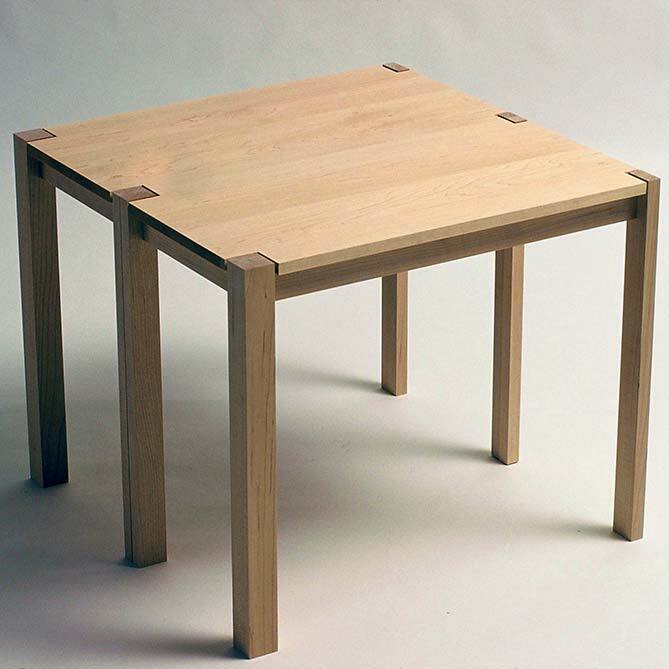 The table shown is in solid maple. No mechanical fixings are used to join the table. It relies solely on the shape of the tops of the legs to visually connect its two parts together. Table bench won first prize in the student section of the 15th International Furniture Design Competition, in Valencia, Spain in 1997, from a field of 270 international entrants. The table design is also produced (under licence) in North America by SpekeKlien furniture makers. Dimensions: height 50cm, length 60cm, width 30cm each. Each table bench is made specially to order. Please contact Colin to discuss any custom requirements and expected delivery times.